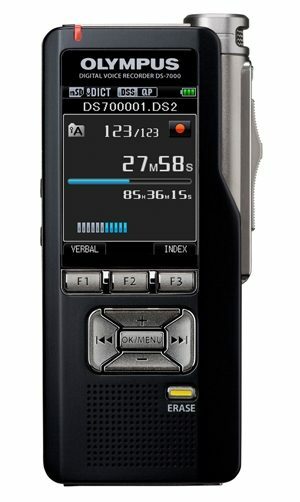 Manufactured by Olympus, and directly replacing the popular DS5000, the Olympus DS7000 is at the top end of professional-orinated digital voice recorders. 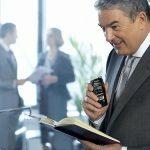 Aimed at the professional market place, the device accommodates for the more demanding digital dictation requirements such as workflow integration, encryption and recording quality. 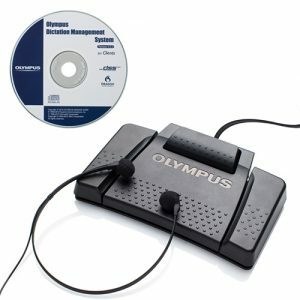 The shipped package comes complete with a docking station, for the purpose downloading recording and recharging the handset, and a fully licenced version of the ODMS Software. 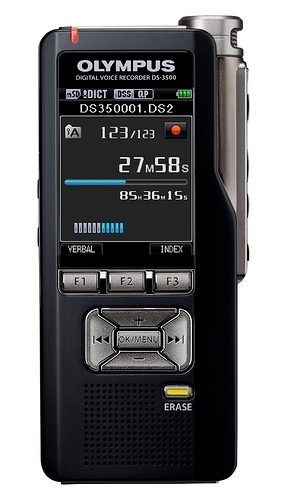 Very similar to the DS-5000, the DS7000 looks very smart in black. With a much larger full colour LCD screen and intuitive button layout it really ticks the boxes. 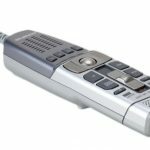 A 4-position slide switch is a fantastic addition, as is the inclusion of the incremental rewind feature not seen in lower end models. 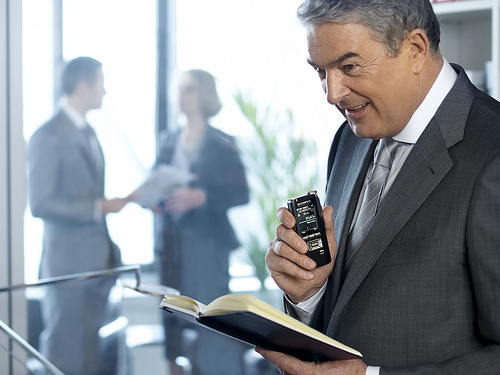 Simple down to rewind and backup to insert makes amending dictation a breeze. 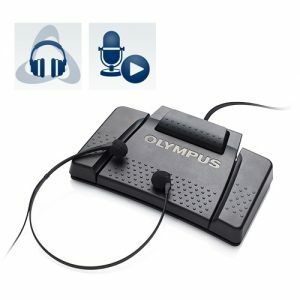 Replacing the good but background sensitive DS5000 version, the newly designed microphone provides impeccable recording quality and is now truly voice recognition friendly, which clearly has been a primary objective from Olympus. 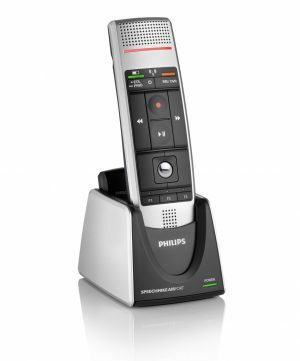 The microphone is completely isolated, limiting the interference from user button presses etc. 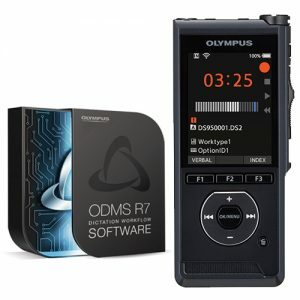 Various recording modes allow for higher quality files, though the higher quality QP mode takes up more space on the device. 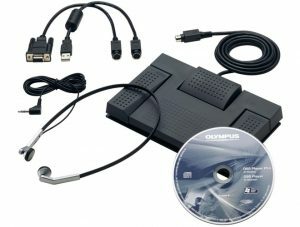 128/256 bit encryption and device passwords provide for peace of mind for those concerned with the handling of confidential /regulated data. Multiple “Destination” folders can help keep things in order. 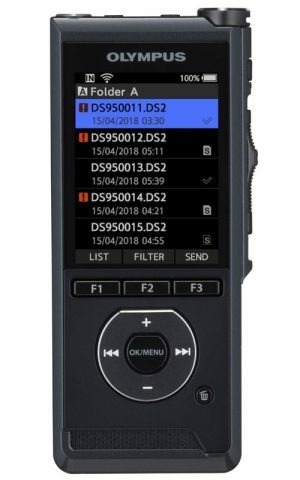 Furthermore separate routing rules post download can be applied, meaning dictation can automatically sent to separate destinations by the users changing the respective folder on the device. 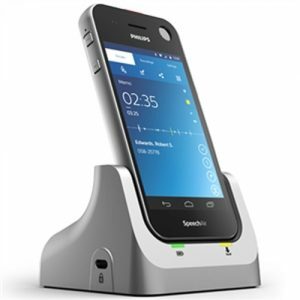 Olympus are true to form on build quality as the handset feels typically robust and durable. A marked improvement on its predecessor, the power button is now accessible in the dock and is no longer prone to accidental switching on/off. A new lithium battery replaces the previous NiMH version; however on the downside, use of disposable AAA batteries is no longer possible. Welcome to our Advice Centre. 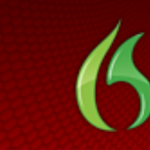 Here you will find all the latest industry news and tips on the best dictating products.